We asked. We sued. We won. We thought. Last year the U.S. Department of Labor gave us diversity data for federal contractors in Silicon Valley after a long legal fight. And now the department is stalling again. So, we’re filing another lawsuit to get the same data for the same contractors, but for a different year. Our victory in the courts meant that the public could see basic diversity statistics for large contractors such as Palantir and Oracle for the first time. The numbers revealed poor representation of women and minorities in some of the largest technology companies. Palantir was one of 10 companies out of 167 of the largest Silicon Valley technology companies with no female executives in 2015. The breakthrough required almost a year of legal back and forth, and resulted in the Department of Labor releasing federal contractors’ 2015 EEO-1 records over the objections of the companies, a break from a longtime policy of denying such requests. But despite its surrender of 2015 data, the Labor Department is now refusing to release the same data for the same contractors for 2016, saying it wants to wait to see the outcome of a separate, ongoing Supreme Court case. This case, the agency argued, would determine the parameters of the exemption that it is using to withhold records as confidential business information or trade secrets. The federal government has acknowledged that 15 to 20 migrant children in its custody are being held outside its network of publicly disclosed shelters, a day after Reveal reported that the government is housing unaccompanied children in secret facilities without the knowledge of their attorneys. In a statement today, government spokesperson Evelyn Stauffer said the Office of Refugee Resettlement relies on these “out of network” facilities for children who require “highly specialized care.” She denied that the agency uses clandestine facilities to house minors, saying the shelters are state-licensed and monitored monthly by the refugee agency. But Holly Cooper, an attorney who represents unaccompanied minors in the agency’s care, said she had been unaware of the facilities, despite the government’s obligation, under a 1997 court settlement, to provide an accurate accounting of where children were held. Cooper said the facilities she has learned of so far specialize in mental and behavioral health. There are at least five in Arkansas, Florida, Oklahoma, Pennsylvania and Virginia, holding children as young as 9 years old. A prominent member of the House Judiciary Committee is demanding answers from FBI Director Christopher Wray, saying he was “deeply disturbed” that the bureau is dismantling a special unit that investigates war crimes and hunts down war criminals – including suspected torturers and perpetrators of genocide. The unit “was originally dedicated to hunting down Nazis living in the United States after World War II and has since grown into an important legal and moral bulwark against perpetrators of genocide and other human rights abuses,” Rep. Ted Lieu, a California Democrat, said in his letter to Wray last week. The human rights unit’s closure was exposed by Reveal from The Center for Investigative Reporting. In an email to Reveal, the FBI acknowledged receiving Lieu’s letter but declined to comment further. When the bureau confirmed the unit’s closure to us last month, it argued that its dissolution “in no way reflects a reduced commitment by the FBI” to enforce human rights law. Dozens of defense contractors caught seriously endangering their workers continued receiving lucrative federal contracts, a congressional watchdog agency says. In a new report inspired by a Reveal investigation, the Government Accountability Office said 52 of 192 defense contractors it reviewed were cited for serious health or safety violations from the 2013 through 2017 fiscal years. Workers in these accidents suffered chemical burns, amputations and even death. In one case, a hydrogen blast left one worker pinned under a 20,000-pound lid, gave another second-degree burns and killed a third. In another case, a worker who fell 98 feet from an elevator was killed. In a third accident, a vessel became unmoored in high winds and struck a pier, pulling two workers underwater and killing one of them. Warren wrote a provision in the 2018 defense bill that required the GAO to review how the Pentagon tracks and responds to workplace safety violations among shipbuilders and other defense contractors. Every year, the Southern Poverty Law Center releases a report on the year in hate and extremism. That report was just released, and four things jumped right out at us. It counted more hate groups than ever before. The total number of hate groups in the United States recognized by the center rose to a record 1,020 last year, up about 7 percent from 2017. It was the fourth year in a row to see an increase. The center also noted that the number of white nationalist groups grew nearly 50 percent, from 100 chapters in 2017 to 148 in 2018. The Southern Poverty Law Center tracks these groups throughout the year and maintains a database listing them. You also can check out an interactive map of these groups here. White supremacists are really angry (even more so than usual). That’s partly because they’re upset about a Census Bureau prediction that the U.S. will cease being a white-majority nation by 2045, but America’s racists also are sad about their perceived lack of support from President Donald Trump. The Federal Trade Commission is being urged to investigate Facebook after court records unsealed last month showed the social media giant deployed a business model that knowingly duped children out of money. “Facebook’s internal documents indicate a callous disregard for young people and a culture that prioritized profits over people,” a coalition of child safety and online privacy groups wrote in a complaint filed with the FTC this morning. The unsealed court documents – more than 150 pages of internal Facebook memos, strategies and emails between employees that span from 2010 to 2014 – show that the Silicon Valley company knew children were unwittingly spending hundreds or even thousands of dollars on its games. Reveal sued Immigration and Customs Enforcement yesterday for failing to comply with the Freedom of Information Act after it kept secret the details of a contract with a company it used to transport migrant children, including those separated from their parents at the border. In November, Reveal from The Center for Investigative Reporting requested a copy of a contract between ICE and MVM Inc. It’s the second time we’ve made such a request and the second time the agency has failed to produce the contract. Government contacts between federal agencies and private contractors like MVM, which are funded with the public’s money, are subject to inspection by the public under the Freedom of Information Act, better known as FOIA. 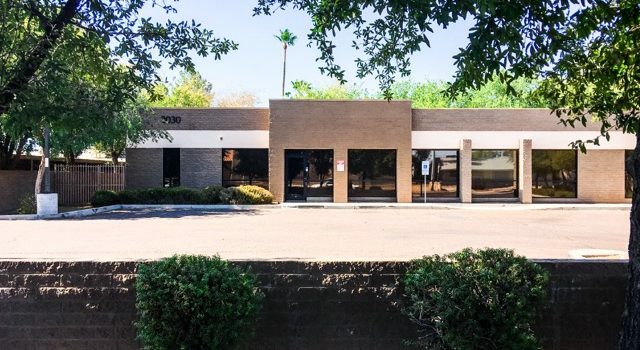 In July, our investigation revealed that MVM was holding migrant children overnight in an unlicensed vacant office building in Phoenix. A video captured by a neighbor showed children, including toddlers, being ushered into the building. MVM originally maintained that the contractor doesn’t house children but later called the building in question a “temporary holding place.” Some of the children had been separated from their parents as part of President Donald Trump’s “zero tolerance” policy. The FBI is dismantling a special unit that investigates international war crimes and hunts down war criminals – including suspected torturers and perpetrators of genocide, Reveal from The Center for Investigative Reporting has learned. The unit, which was created a decade ago and has its roots in federal efforts to hunt Nazis living in the United States after World War II, has had a hand in many high-profile prosecutions. Most recently, its investigators helped take down the Liberian warlord Thomas Woewiju, whom agents found living a quiet life in Philadelphia. At trial, witnesses said Woewiju’s men herded civilians through checkpoints decorated with severed heads and strings of human intestines. He was convicted of perjury in July. Now, human rights advocates worry that criminals like Woewiju could evade justice. “These are difficult cases to prove because they need rock-solid investigations,” said Beth Van Schaack, a law professor at Stanford University who was deputy ambassador-at-large for war crimes issues in the Obama administration. Scrapping the FBI unit “is inevitably going to jeopardize prosecutions,” she said. In a statement, the FBI confirmed the shuttering of the war crimes unit but argued its dissolution “in no way reflects a reduced commitment by the FBI” to enforce human rights law. The agents previously dedicated to human rights work will continue that work as members of the FBI’s civil rights program, the agency said. For several years, climate change scientist Maria Caffrey led a trailblazing study outlining the risks of rising seas at national parks. After Friday, she’ll be out of a job. Caffrey, who worked under a contract with the National Park Service, resisted efforts by federal officials to remove all references to human causes of climate change in her scientific report. After Reveal from The Center for Investigative Reporting reported the attempts at censorship, Democratic members of Congress called for an investigation, and last May, the park service released the report with all the references reinstated. Caffrey’s contract expires on Friday. Park service officials told her last year that they would hire her for a new project. But they notified her today that no funding is available for the work. Caffrey said she asked her supervisor at the park service, “Is this because of the climate change stuff?” She said he told her, “I don’t want to answer that.” Park service officials did not respond to questions from Reveal about why Caffrey wasn’t rehired. But spokesman Jeremy Barnum said it was not because she spoke out against the editing of the climate report. Caffrey’s career boom and bust exemplifies the difficult situation many scientists face as President Donald Trump’s administration tries to suppress research on topics that he doesn’t consider a priority. Columbia Law School’s Sabin Center for Climate Change Law has reported 194 examples of the federal government censoring, hindering or sidelining climate change science since Trump was elected.